PayPal is one of the leading payment processors available. But is it the best tool for nonprofits seeking to accept online donations? Organizations that want to use PayPal will have to settle for minimal checkout page design, a complicated giving process, and restricted withdraw amounts. The truth is that there are better more powerful donation tools available that are specifically geared toward nonprofits. These donation tools understand that everyday credit card transactions aren’t the same as donating to a nonprofit and have created tools, like donation buttons, that make the giving process efficient and enjoyable. For each tool, we’ll dive deeper into the features, pricing, and why we think it’s a better option for your nonprofit. Keep reading to learn more about our top two favorite tools! Qgiv is our top choice for PayPal alternatives because this tool is full of powerful features that give nonprofits, faith-based organizations, and schools the ability to accept online donations. Creating a customized donation form is simple thanks to Qgiv’s donation page builder. Your nonprofit doesn’t need to know complicated CSS or HTML code to create beautifully designed pages. 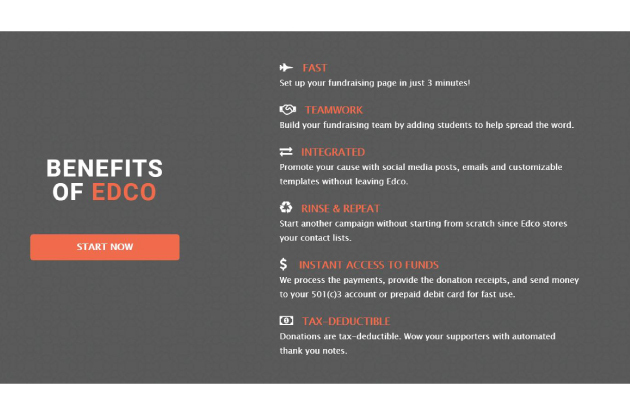 The software comes with a whole host of useful, unique features to help boost your nonprofit’s fundraising and maintain a consistent online presence. Fully customizeable donation forms — Maintaining a consistent brand is essential to building awareness and establishing trust with donors. With this tool, nonprofits can add their logo, update the color scheme, and much more to match their brand. Mobile-responsive pages — Make your donation pages easily accessible on any device. That way, donors don’t have to pinch, swipe, or zoom to fill out your donation form. Suggested gift amounts, recurring gifts, and fundraising thermometers — Nonprofits can set up donation amounts and recurring gifts to speed up the giving process. Additionally, with an eye-catching visual, nonprofits can display how much they’ve raised to encourage more contributions. Unlike PayPal’s limited donation forms, Qgiv is a tool that can be adjusted to meet your nonprofit’s specific needs—whether you’re raising money for an event or a peer-to-peer campaign. From a simple start-up process to unlimited donation forms to a whole suite of giving tools (peer-to-peer fundraising and text giving), Qgiv has practically everything nonprofits need to improve their fundraising. The best part of Qgiv is that nonprofits can get started for free. With their basic plan, your organization will get unlimited donation and event registration forms as well as training and support. You’ll only be responsible for a 3.95% + $.30 per transaction processing fee. Learn more about Qgiv’s online fundraising platform! Our second pick for PayPal alternatives is Fundly because their fundraising pages are easy to use and nonprofits have complete control over the customization. Fundly empowers nonprofits (and individuals fundraising for philanthropic causes) through social sharing so they can spread the word about their campaign. Nonprofits looking for a PayPal alternative that helps engage donors and raise awareness, should consider Fundly’s platform. Top-notch social integrations — What separates crowdfunding pages from other online donation pages is the social sharing component. Fundly has prominent buttons that allow donors to share the page with their peers. Additionally, users can import their email contacts and send out customized emails. Responsive customer support — Unfortunately, your fundraiser might encounter a few road blocks after it’s launched. 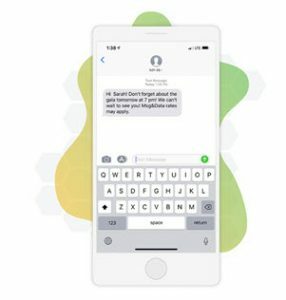 If that’s the case, Fundly’s support team is there to resolve your challenges as quickly as possible. Easy-to-use management tools — Your nonprofit can update your fundraising page and check on your progress from any device, making it easy to manage on the go! Fundly has helped nonprofits and individuals raise over $330 million. With educational resources, a strong track record for success, and an easy-to-use platform, Fundly helps nonprofits raise more money and awareness. You can create a Fundly campaign for free. You’ll be charged a 4.9% platform fee and 2.9% + $.30 per transaction after you receive your first donation. Learn more about Fundly’s crowdfunding platform! School fundraising can be hard, especially because teachers, mentors, coaches, or whoever is running the fundraiser needs to be able to access the funds as quickly as possible. That’s why we love Edco: they take the hassle out of fundraising for school purposes so that you and your team can achieve your goals. Edco lets everyone fundraise from one central page, so that everyone can get involved. They’ll work directly with the primary fundraiser, whether that be a coach, a teacher, or even a student leader to get your campaign off the ground. With Edco, all you do is make your fundraising page and share it with your networks. Edco handles the payment process and everything after. 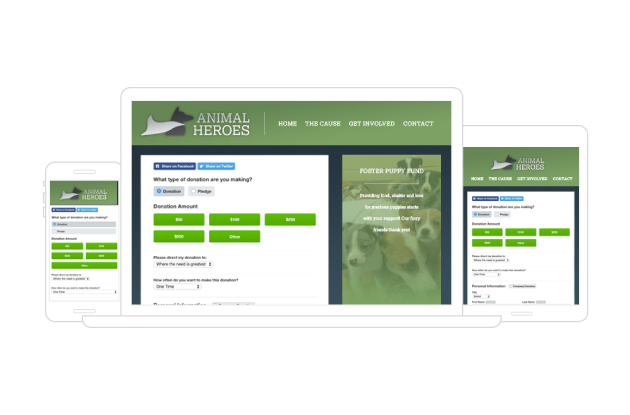 They give you customizable templates to share your campaign through social media or email. They process the payments and provide tax-deductible donation receipts for you. They allow you to automate your thank-you notes, to make sure you don’t miss anyone. They’ll also keep track of your contacts in the program, so next time your team or class needs to fundraise, you don’t have to start from scratch. We prefer Edco for school-centric fundraising because it’s tailored to support people in the education network. It also considers how busy most teachers are: they don’t have time to worry about making sure donors get receipts or thank-you notes. The team-fundraising aspects, automated responses, and on-call support team are what make Edco perfect for your school’s fundraiser. It’s free to sign up and use the software: Edco collects a 4.9% service fee on funds raised. Additional charges apply (2.9% + 30￠ per transaction) to donations made via credit card. Learn more about school fundraising with Edco. 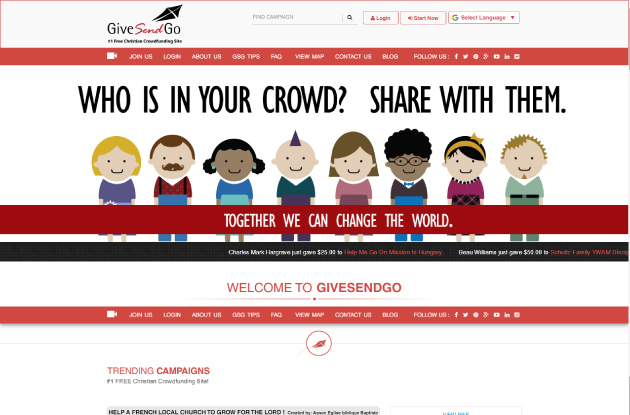 GiveSendGo, a Christian crowdfunding website, is the perfect place for churches to accept donations online. Churches can raise money to expand their facilities, fund a mission trip, or support a youth group. The fundraising campaigns come with social sharing buttons that make it easy for congregants to spread the word. Additionally, donors can show their support by clicking the “pray now” button. While churches can use the tool to raise money, GiveSendGo is also open to congregants looking for financial support to cover a medical expense, memorial, and much more. The platform is focused on building a community—something churches will have difficulty achieving when raising money through PayPal. GiveSendGo also supports the campaigns on their website by contributing 10% of the money they make every month to active fundraising pages. 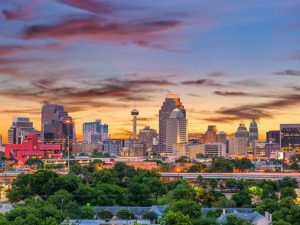 Churches will pay a payment processing fee, which will vary from 2.9% +$.30 to 3.5% +$.30 per transaction depending on the payment processor used. Learn more about online donations for churches on GiveSendGo. 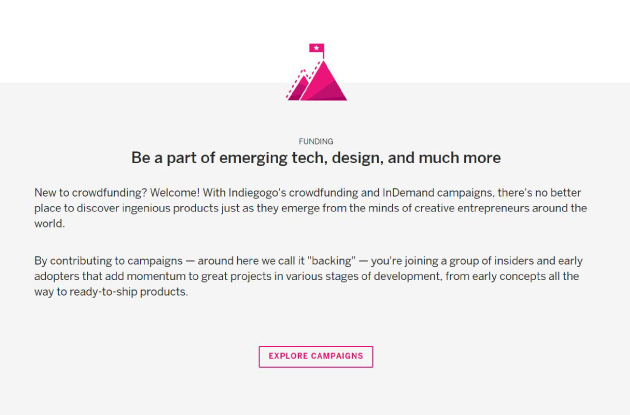 If your nonprofit is looking to launch a creative project to better the community or raise awareness about your important cause, there is no better PayPal alternative than Indiegogo. This fundraising tool was specifically created to help people fund creative projects. 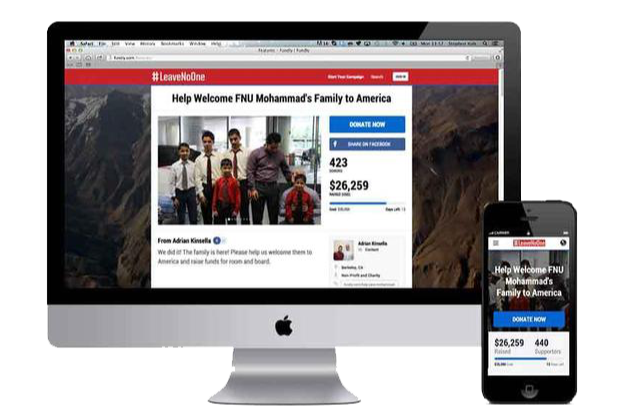 This crowdfunding website allows users to create fundraising pages with a set fundraising goal. Campaign creators can opt to run an all-or-nothing or keep-it-all campaign. Users can also create a “Coming Soon” page to generate buzz around their creative ideas. Indiegogo will support your fundraiser from start to finish. They have a website full of educational material that can help you launch a successful campaign. Campaign creators will pay a 5% platform fee along with a third-party payment processing fee of 3% + $.30 per transaction. Learn more about accepting online donations on Indiegogo. There you have it; your nonprofit has plenty of options when it comes to selecting a online donation tool. Don’t settle for using PayPal when you can use a tool that’s tailored to fit the needs of nonprofit organizations. 28 Nonprofit Donation Page Best Practices. Now that you’ve narrowed down your options for the perfect tool, check out these fantastic tips to help you design the perfect donation form. Text Giving Guide. Another great way to accept donations is via text message. Donors can contribute no matter where they are (as long as they have their phones). Learn more about text-to-give and how to implement it into your fundraising strategy. Peer-to-Peer Fundraising Basics. Many of the tools we mentioned—namely Qgiv and Fundly—can also be used to launch peer-to-peer campaigns. Learn about the many benefits of using your supporters to raise money with this guide.